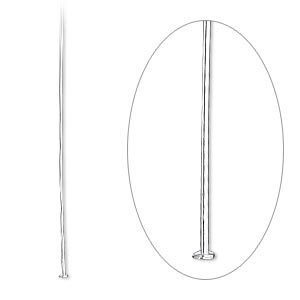 Head pin, sterling silver-filled, 1-1/2 inch, 22 gauge. Sold per pkg of 10. Item Number: H20-A1443FN Have a question about this item? 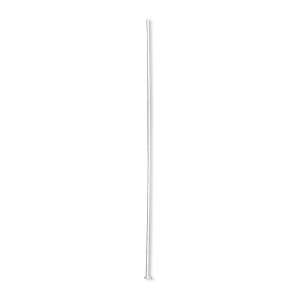 Sterling silver-filled head pins are made of a durable outer layer of sterling silver surrounding a copper-alloy core. 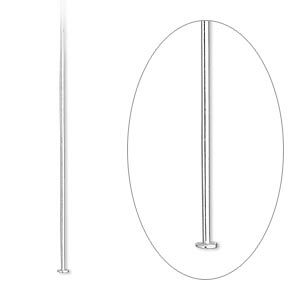 These items are 10% sterling silver, making them 1/10 silver filled. 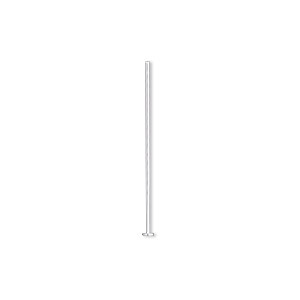 Head pins have additional silver plating for uniformity and are completed with an anti-tarnish coating to preserve the beauty. Head pins handle like sterling silver and can be soldered. For optimal results, use nylon jaw pliers or pliers dipped in Tool Magic® heavy-duty rubber coating when working with sterling silver-filled head pins to prevent scratching or marring. 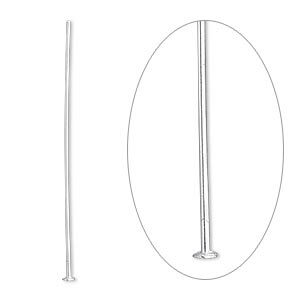 Head pin, sterling silver-filled, 1-1/2 inch, 22 gauge. Sold per pkg of 100.